Is the world really falling apart? Is the ideal of progress obsolete? 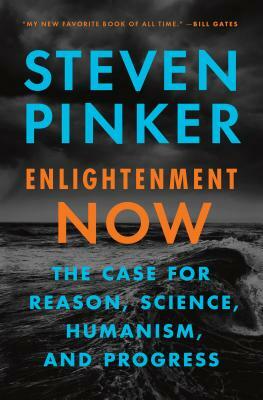 In this elegant assessment of the human condition in the third millennium, cognitive scientist and public intellectual Steven Pinker urges us to step back from the gory headlines and prophecies of doom which play to our psychological biases. Instead, follow the data: In seventy-five jaw-dropping graphs, Pinker shows that life, health, prosperity, safety, peace, knowledge, and happiness are on the rise - not just in the West, but worldwide. This progress is not the result of some cosmic force. It is a gift of the Enlightenment: the conviction that reason and science can enhance human flourishing.